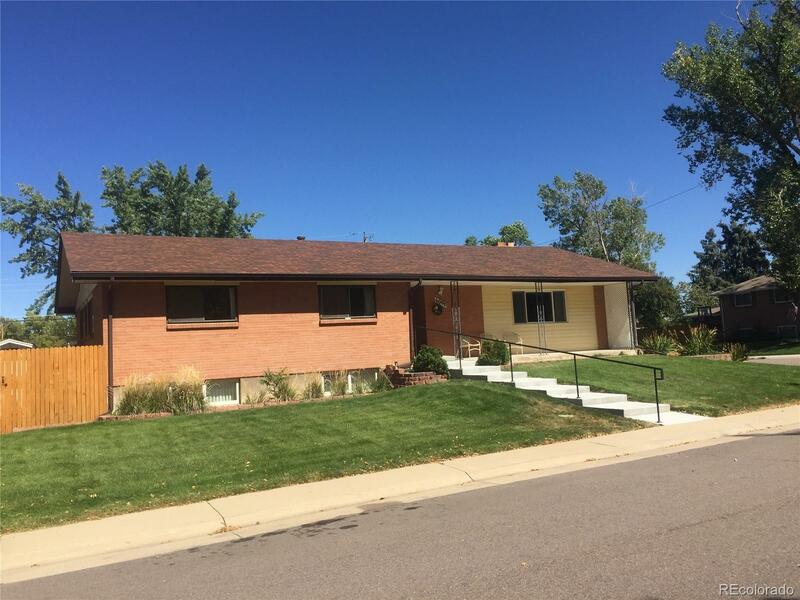 Littleton neighborhood, all brick ranch-style home with hardwood floors, new roof, 2-car att. garage. Tastefully landscaped and fenced back yard. Spacious and ideal for a family. Home has 6 Bedrooms, plenty of eating space,, TV/Recreation room downstairs, upstairs all-purpose room + large kitchen, dining room divided from living room with beautiful flagstone gas fireplace. Kitchen boast of original Chambers Gas Range and a wall oven, a modern new refrigerator/freezer combo, newer dishwasher, with a main floor laundry room adjoining. The all purpose room which seller has often times used as an extra dining room and family room. The downstairs bedrooms are light and bright with high ceilings. Basement also has a large storage room with built-in-shelves. Great Opportunity!